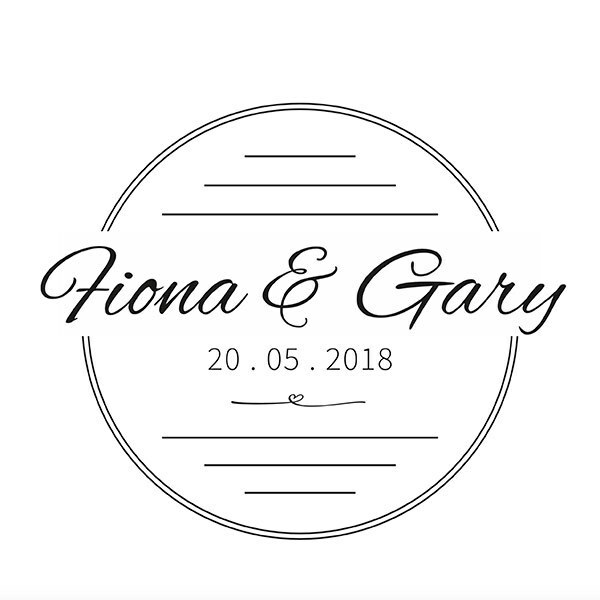 The following cover photo arrangements are available. These apply to the album box and the storybook album cover. Depending on album size, there are layout options for 1, 2, 3 or 4 photos. 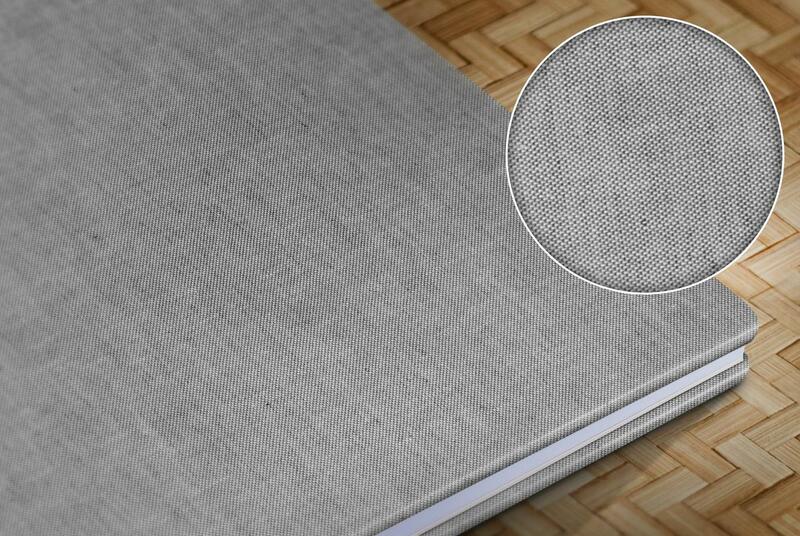 Click on the appropriate album size below to view the cover designs. You can choose from the following photo arrangements (1-2 photos). 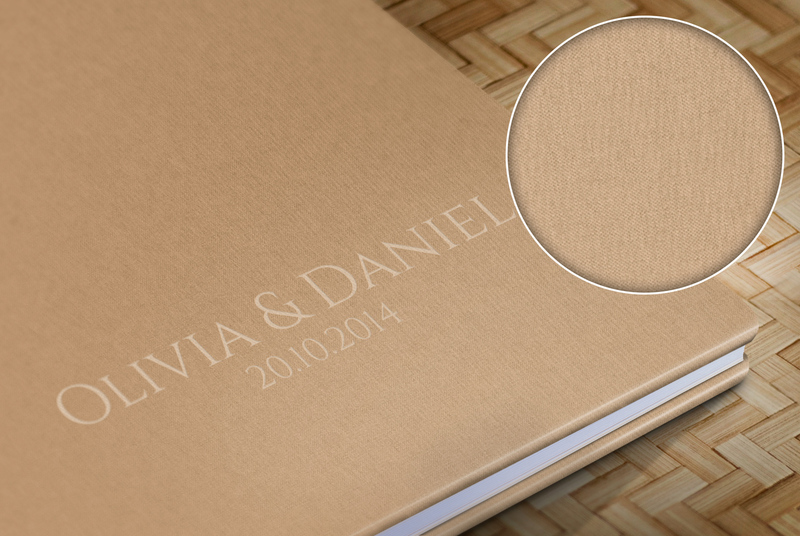 You can choose from the following photo arrangements (1-4 photos). 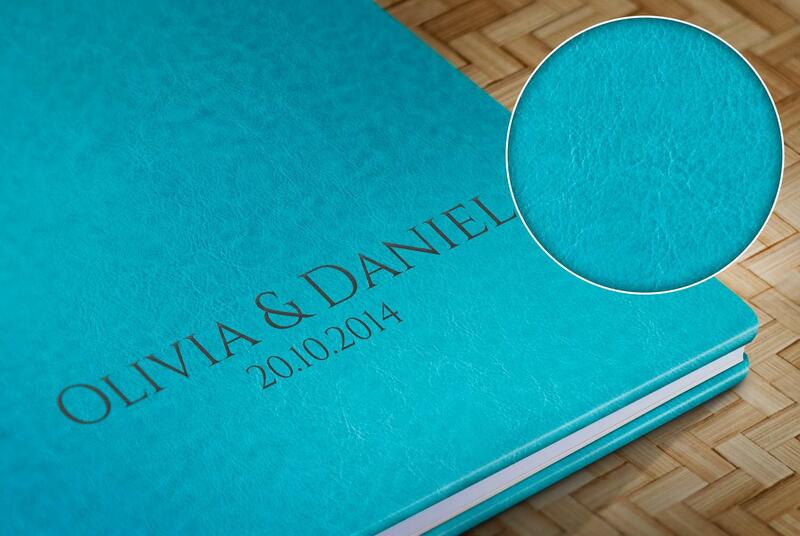 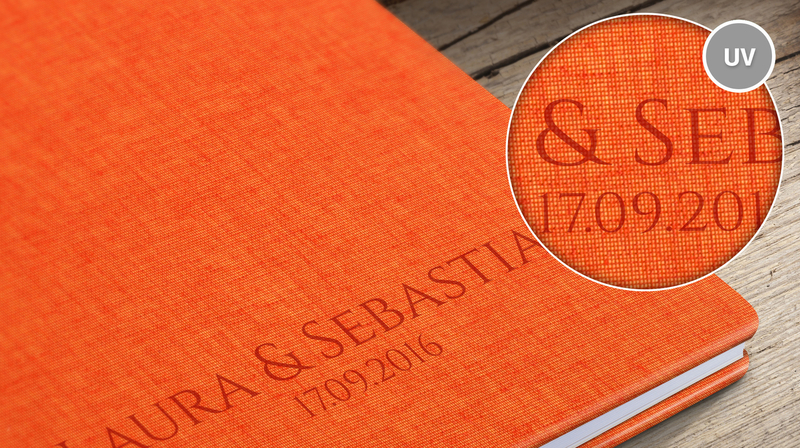 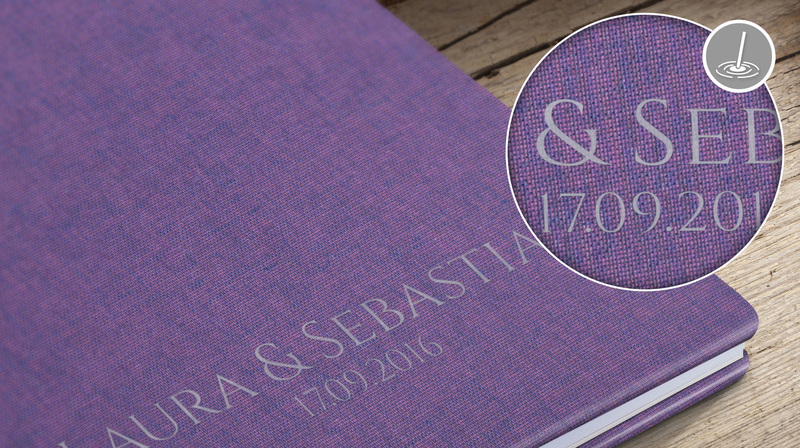 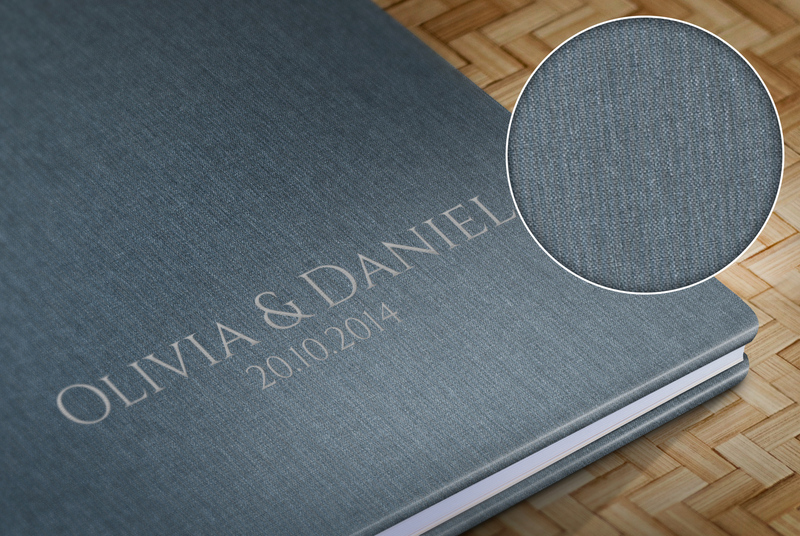 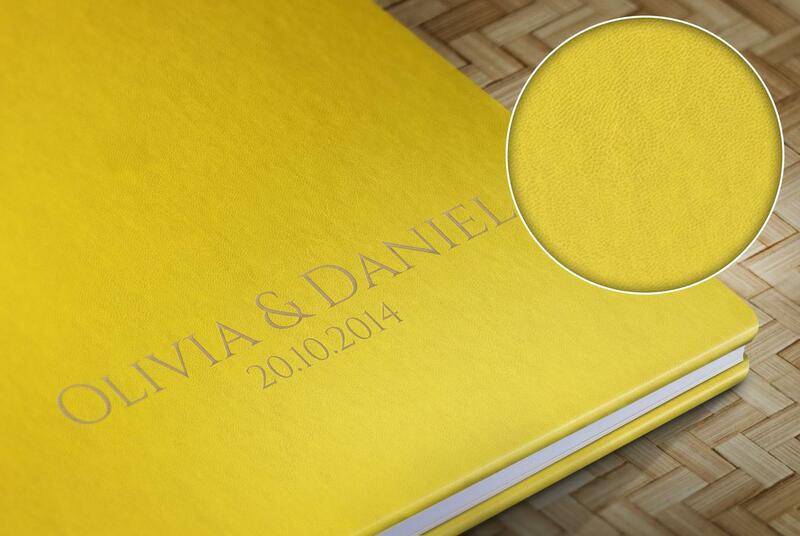 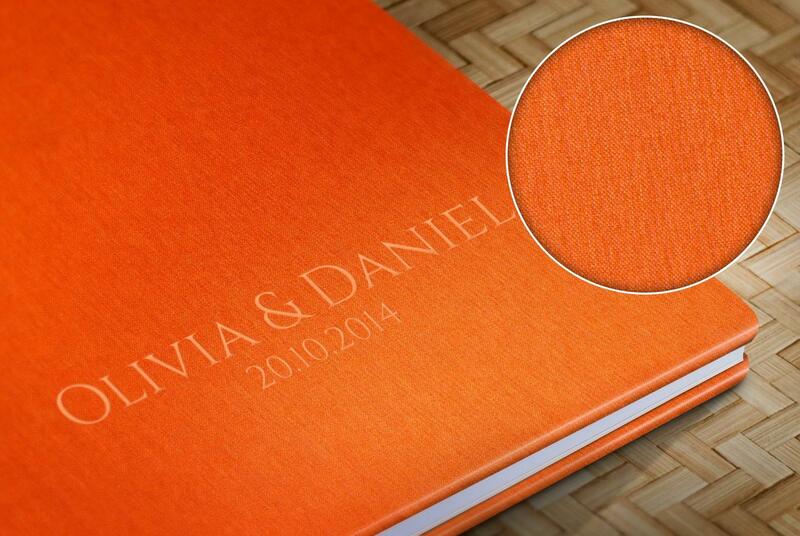 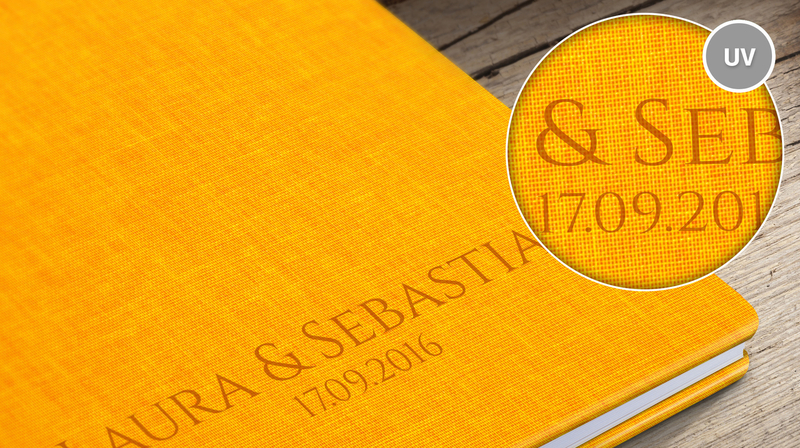 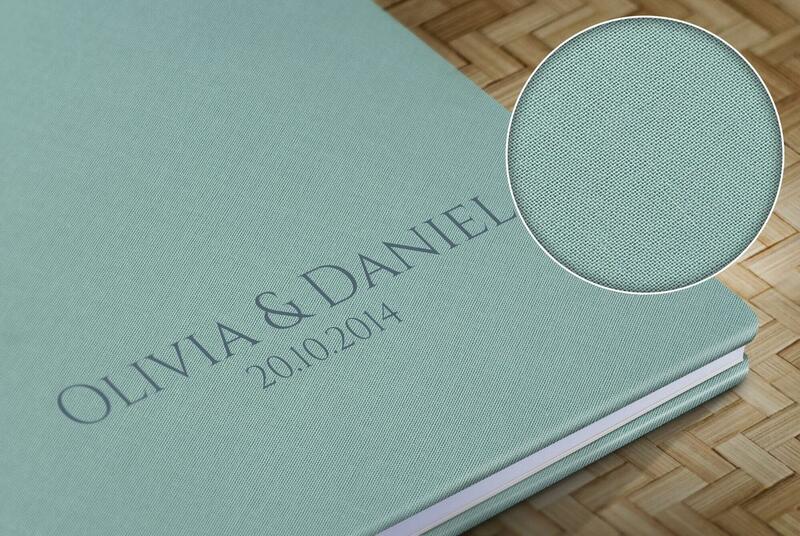 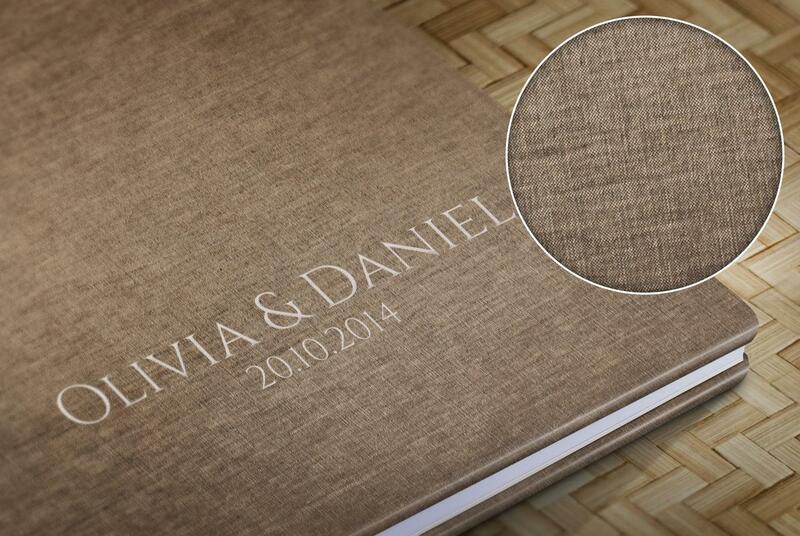 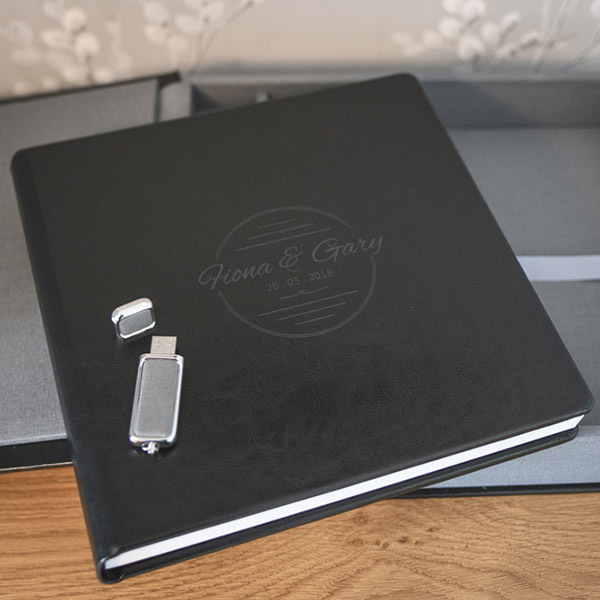 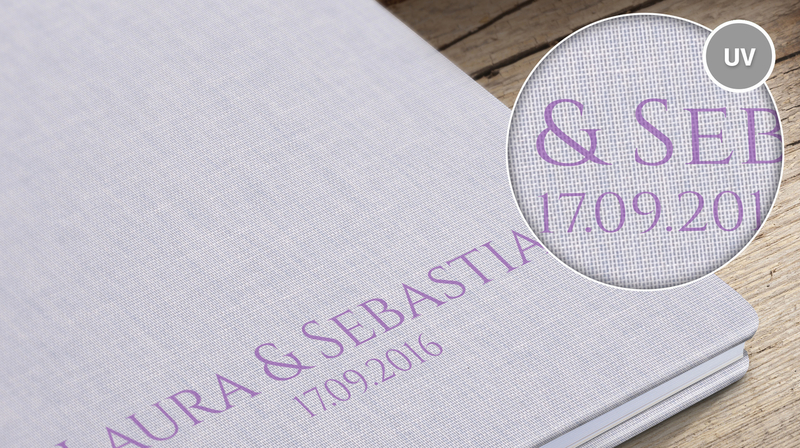 As an alternative to having photos on the front cover, you can have your names and date of wedding personalised on the album and box covers. An example is shown below. 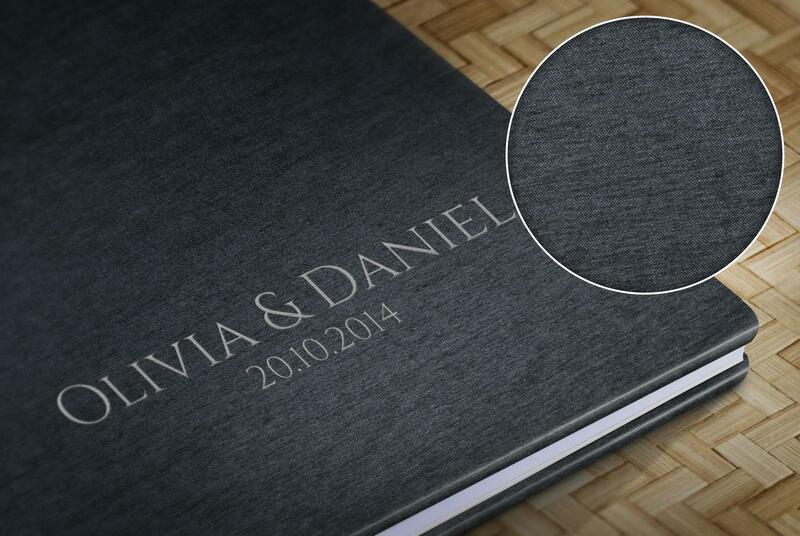 There will be more design choices in the coming months. The following fabric swatches are available to the Album Box Set Exclusive range. You can select any swatch to take a closer look. For reference, the exclusive sample album I have on show, uses the C21 Eco-Leather for the outer covers and the A37 Textile for the inner box colour. The album size is 10 inch and features the P9 cover layout. These are special colours. Their uniqueness is visible at a first sight as they appear to morph from one colour to another. 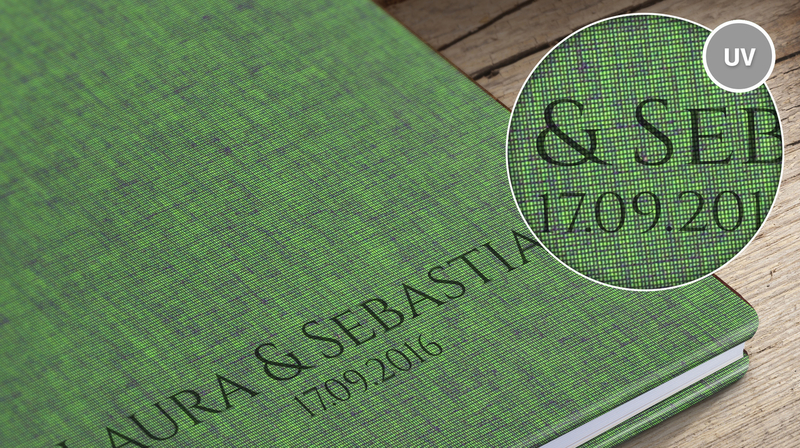 The swatch colours shown are the textiles main look. You can see the hint of the second colour in the fine texture. 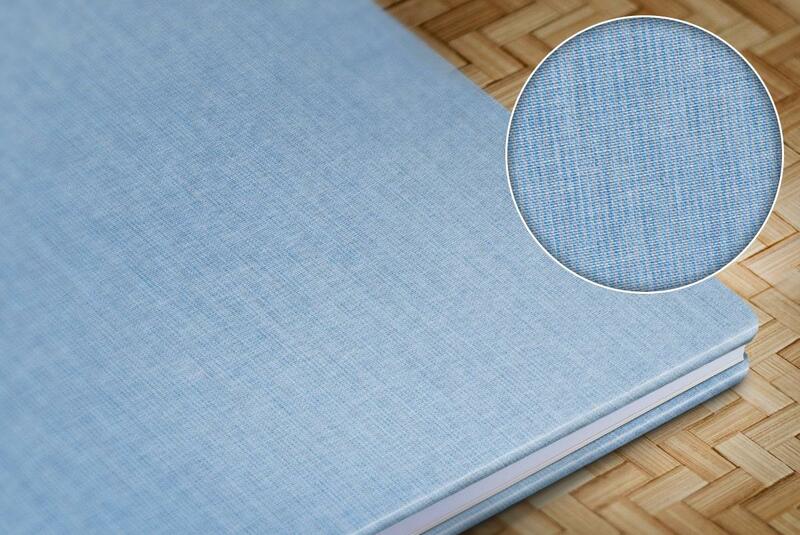 Here's an example of H3. 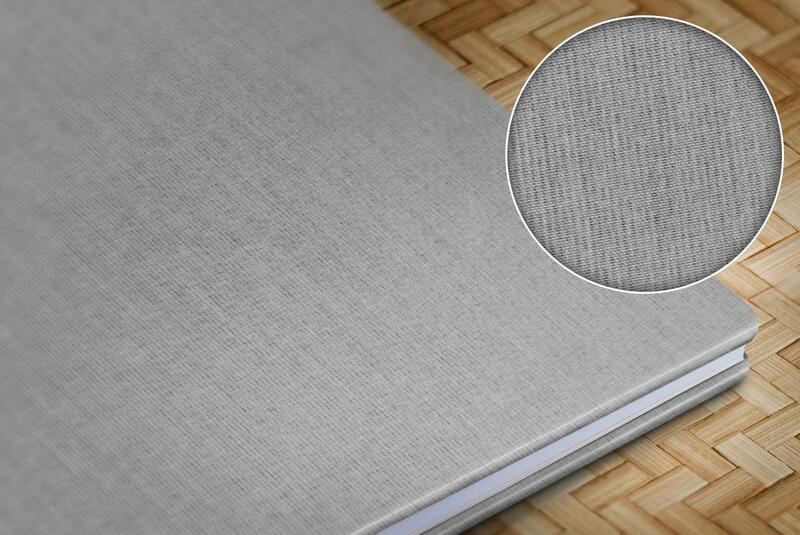 >> Return back to main albums page.